During my (infinitesimal) contribution to the student Nationalist movement, there was one chap who would festoon himself in SNP paraphernalia – running the gamut from watches and pendants to key-rings and backpacks. The SNP’s faintly naff online shop has now disappeared from view behind the slick, über web 2.0 façade of the party’s all-new, Obama-inspired website, but I can well imagine this fellow plotting courses there with steely-eyed determination. I can recall looking on aghast (as a proud north-easter) at a party event when our man, compering proceedings, introduced newly re-elected party leader Alex Salmond as “the member for Banff and Buchan…shire.” Naturally Salmond, as a renowned wit and one disinclined to suffer fools gladly, pounced upon the faux pas; the poor errant soul’s self-appointed status as one-man brand representative was not enough to spare him Eck’s acid tongue. The anti-hero of the piece was the quintessential representative of a particular sub-breed of Nationalist of whom I rapidly tired: that whose all-conquering, tribal allegiance to the SNP completely swamped what we were all doing there in the first place: trying to furthe the cause of Scottish independence. Now, the necessary disclaimer: I recognize that the SNP have worked wonders in closing ranks, erecting the broadest possible church and sanitizing the nationalist movement to the point where even respectable Morningside types now consider it safe to vote for them. They have staked a credible claim as heirs to the social-democratic principles turfed aside by Nu-Labour, and the phenomenal events of Thursday 5th May 2011 have fast-tracked the self-determination cause in ways that could scarcely have been imagined. Salmond and co. have long since diagnosed – and all but remedied – their own particular strain of the Caledonian Antisyzygy: the need to acquiesce to the die-hard Nationalist (and the party anorak) while garnering votes from the middle-ground. So, Alex Salmond is by no means grandstanding (well, maybe only slightly, but who can blame him) when he lauds his party’s credentials as worthy custodians of a progressive national interest. Salmond pushed this discourse further during his swearing-in speech when he trawled up past utterances of cross-party support for his newly-bolstered raft of demands from Westminster. Acutely aware of the perils of knee-jerk Unionist belligerence, the First Minister’s strategy of consensus by ambush is a cunning one indeed. Even though the existential conundrum of bygone years has been dissipated by a full term of deft governance, the fact remains that the SNP still draws on a core vote which distils down to a fundamental regard for the party as a vehicle bound for sovereignty. Conversely, and reflecting the fact that the SNP does not monopolize independence mindedness, there are pockets of dormant, unrecorded support for self-rule among the politically apathetic. I have talked to scores of individuals over the years who profess support for Scottish sovereignty, but who refrain from voting as, you guessed it, ‘politicians are all the same.’ In a country where voting turnout barely scrapes by the half-way mark, it is not unreasonable to assume that such sentiments are embodied by considerable numbers of potential ballot fodder. If, in any sense, the SNP has become a victim of its success as conventional Unionist wisdom likes to dictate, it is perhaps here; its necessarily orthodox political path has no answer to the post-modern plague of political apathy. The very fact of an independence referendum should be enough to stir some of the blood of the self-disenfranchised; a once in a lifetime, grand day out to the polling booth interspersing spells of perennial political slumber. A participative blink in the dark. This idea of the referendum framing an over-arching vision for a distinctly Scottish public space ought to be vital if customary non-voters are to be brought in from the cold. Much has been made of the argument hinging on the economic case for independence, but in the stampede for voters’ minds, it is important not to tread on their hearts. The SNP’s vote probably also excludes an unknowable quantity of voters who are notionally in favour of independence, but kept away by any of a number of potential push factors encompassing the banal, the principled, and the surreal (dislike of SNP’s namby-pamby populism, stance on Al-Megrahi, Alex Salmond’s double chin, etc etc). While such individual motivations may run counter to the electoral zeitgeist, they could well mount up to something greater than the sum of its parts. For such maverick voters, it should not be forgotten that, post-independence, Scotland would not be a one-party state (whatever the current parliamentary arithmetic, and certain Scotsman commentators, may now suggest). This amounts to another bogeyman cobbled together in the Unionist press labs; they would have us believe that a ghoulish yes-vote would hand dastardly Mr. Salmond a presidency for life. Naturally, he would also take to waddling about in military fatigues, with Saltire Two, his trusty AK47, nesting snugly on his paunch. This vein of scaremongering probably stems from the current disarray of all three Westminster franchise parties; the outcome, we are occasionally told, of Salmond’s cynical and exploitative populism. But optimum Scottish statehood, or at least the looming prospect of as much, would surely serve to revive the fallen beasts. Though no one could foretell the finer points of a theoretical constitutional settlement, it would surely involve parliamentary elections soon after the event, contested by groupings that loosely resemble the current party-political offering. It is probably fair to say that the SNP would survive the transition largely intact in its current left-of-centre guise, but the shock waves could conceivably dislodge factions towards the right and the harder-left (read born-again Tories and old-Labour). Meanwhile, Douglas Alexander, Jim Murphy et al would be huddled sweaty-palmed in the UK Border Agency, queuing feverishly for their English residency visas like junkies for methadone. Given that the piecemeal institutional transfer implied by independence would probably span years and numerous parliamentary terms, it is ludicrous to suggest that the SNP would dictate the terms throughout. If a fully sovereign Scotland remains a largely abstract concept, that is part of its innate beauty; our power to carve out our own path as a nation and on our own terms. So long as universal access to the SNP online shop is restored. Completely agree but where are the other voices, open debate that’s not cloaked in SNP party political rhetoric? And as for the self-disenfranchised not sure referring, even as a stab at humour, to methadone junkies encourages engagement from those who already feel well out on the margins of Scottish society. Interesting and well argued paper.I totally agree that there is a need to reach out beyond the SNP to achieve independance.Hopefully we can achieve that.Any ideas about how to go about it? Voting is the legal and democratic way of deciding political issues. Do you expect sympathy for those who choose not to take part? I became politically aware during the Thatcher years, and consistently saw Scottish votes mean nothing as we gained consecutive Conservative governments. NONE of which were voted for by the majority of Scots who voted. 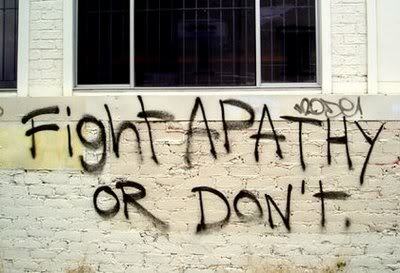 It would have been easy to become apathetic and not vote, but I didn’t. You cannot complain about politicians, or about how the country’s politics don’t reflect your thoughts and issues, if you do not vote for change. Apathetic none-voters who want independence – how do they propose to get it without voting? People should vote or move to a country where the citizens don’t have that right.